HOUSTON, TX. 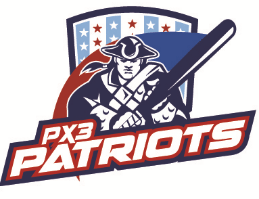 – On October 21, 2015, the PX3 Research Foundation will host the inaugural game of its PX3 Patriots Celebrity Softball National Series at Reckling Park at Rice University. 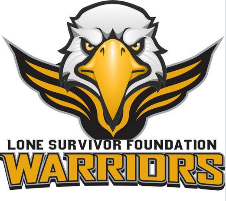 The PX3 Patriots, an all-veteran, co-ed softball team, will play against the Lone Survivor Foundation Warriors, a team of sports celebrities, including baseball icon Roger Clemens, dedicated to supporting the mission and vision of the Lone Survivor Foundation. The event will kick off with a homerun derby at 7:00 p.m. followed by the celebrity softball game at 7:30p.m. General admission tickets are available for $10 and reserved field seats are available for $15-30. Tickets can be purchased online through Ticketmaster.com. This will be the first of many charitable softball games nationwide hosted by the PX3 Research Foundation to raise funds and awareness of its mission and other military-focused non-profits. Sarah Marie Blanton, Ms. Texas 2015, will perform the national anthem. Founder and chairman of the Lone Survivor Foundation, Marcus Luttrell, U.S. Navy SEAL (Ret.) and Navy Cross recipient, is scheduled to throw out the first pitch. includes Honor Recipients, US Navy SEALS, Veteran Actors, US Green Berets, Amputee Wounded Warriors and Wounded Warriors. These veterans are dedicated to creating educational and inspirational experiences to support solution-based research in the areas of mental health and brain safety, including concussions and Post Traumatic Stress Disorder (PTSD). They do so through kid’s clinics, hosting private receptions and motivational speaking engagements, and visiting children, military service members and amputees in hospitals throughout the country.